Instead of donating prize money for the winner, I ask that you part with your money for a better cause. Project Night Night provides free packages to homeless children from birth to pre-teen who need our childhood essentials to have a concrete and predictable source of security and increased exposure to high-quality literacy materials during this time of upheaval. Each Night Night Package contains a new security blanket, an age-appropriate children’s book, and a stuffed animal — all nestled inside of a new canvas tote bag. Project Night Night works with tens of thousands of individuals each year who volunteer their time and talents to make our world a better place. You give her your banana for that? 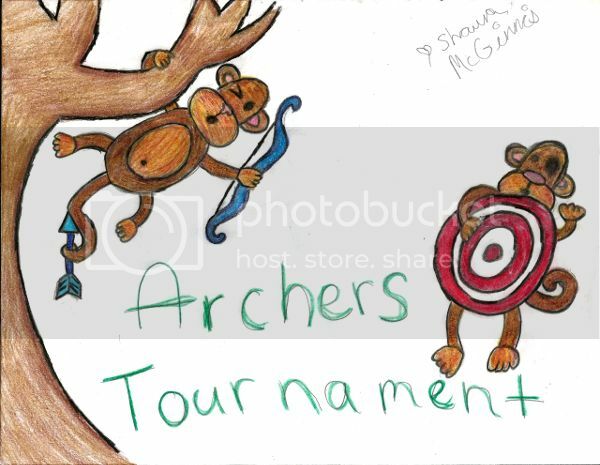 Nice, archers tourney is finally here. I set an idle in war2bne to help advertise. Congrats to IamBadman for winning the 1v1 Archers Friends Tournament! Should have offered a better icon , that default one is horrible.